A spicy and exotic delight! If you want to know something special about me, it’s that I love chai spice. Seriously, I love it so much. When I attended yoga teacher training we drank a lot of Yogi Tea. It was our everyday beverage instead of coffee. It was something we would sip on in the morning and during class as well. 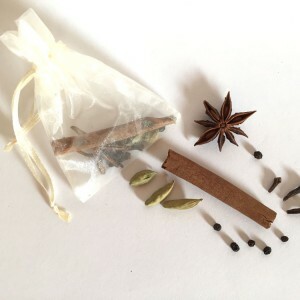 Yogi Tea is a healthy tea elixer and easy way to make chai tea. 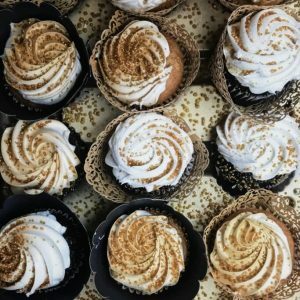 It’s made of real spices – not sugary flavoring. It’s said to be good for your immune system, bones, and blood. It’s impossible to resist, warm, comforting, and delicious. That’s why I to make unique chai spice recipes. 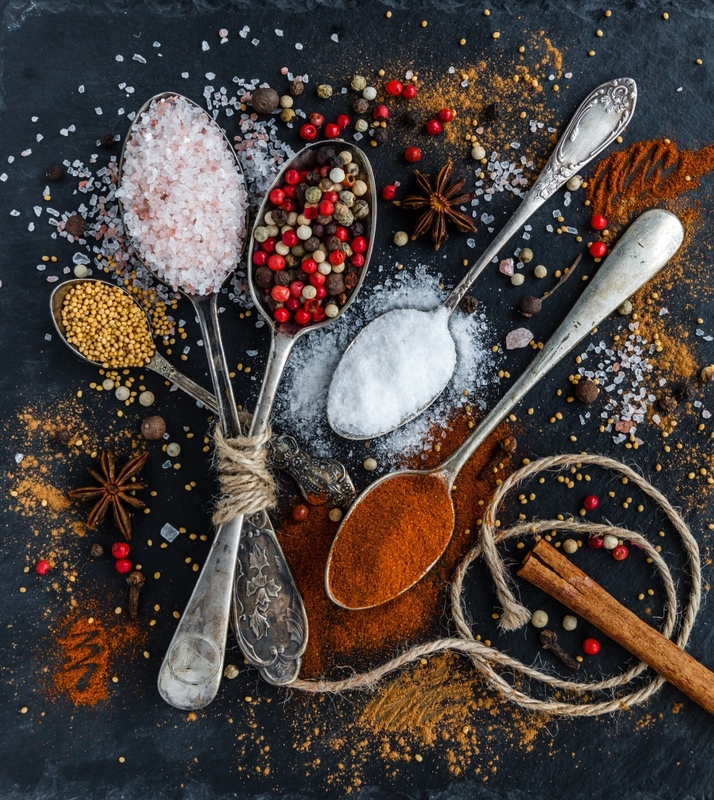 These spices pair so well with chocolate and make the most unique exotic experience. If you’ve never made truffles, don’t be intimidated. They are remarkably beginner friendly! 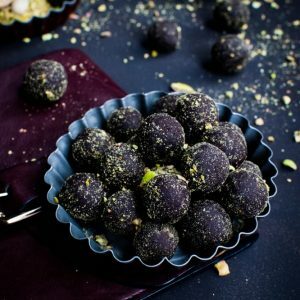 This Chai Tea Chocolate Truffles Recipe is the easiest way to make truffles and doesn’t require expert chocolate experience.You simply mix the chai tea spices in the chocolate, toast some pistachios and roll the outsides of the truffle in the pistachios. Easy Peasy! These Chai Tea Chocolate Truffles are not tempered. Tempering is when you get a glossy finish that snaps and stays perfectly solid at room temperature. Tempering can be fun, but rolling your Chai Tea Truffles can be tedious and time consuming. Because these aren’t tempered, they will need to be stored in the fridge and eaten within a week or so. Of course, truffles are best when they melt in your mouth, so when you serve them, be sure to let them rise to room temperature! Don’t serve them straight out of the fridge. When making truffles, always use a quality chocolate. My favorite is without a doubt Valrhona a French Chocolate that is on the cutting edge of creating new chocolate products and maker of heavenly baking chocolate. The pistachios are best when they are fresh toasted. If you can find raw pistachios, you will do yourself huge favor! To cook them, simply saute them dry on medium heat. Stir regularly and cook until 1 side begins to turn golden. Cool and them chop them before rolling your Chai Tea Chocolate Truffles in them. That fresh crunch makes these truffles to die for. 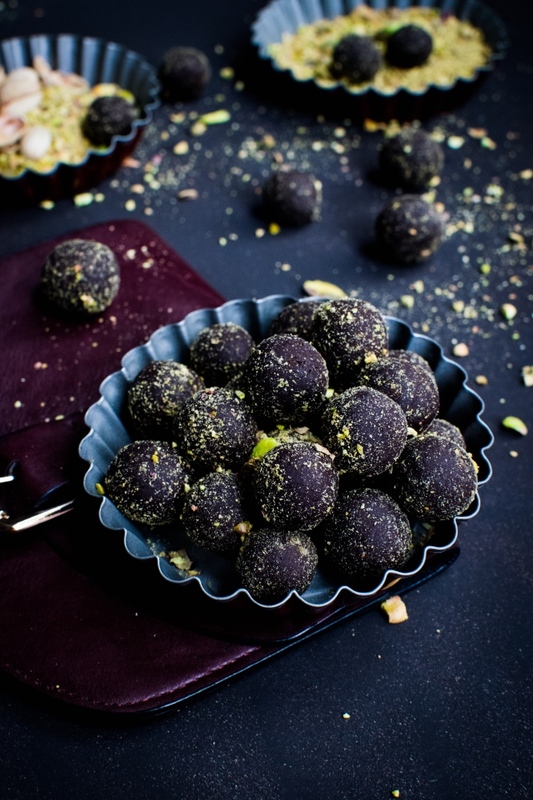 These Chai Tea Chocolate Truffles are warm and exotic! They are beginner friendly so make them for yourself. Add your chocolate to a double broiler. Your lower pan should an inch or two of water. 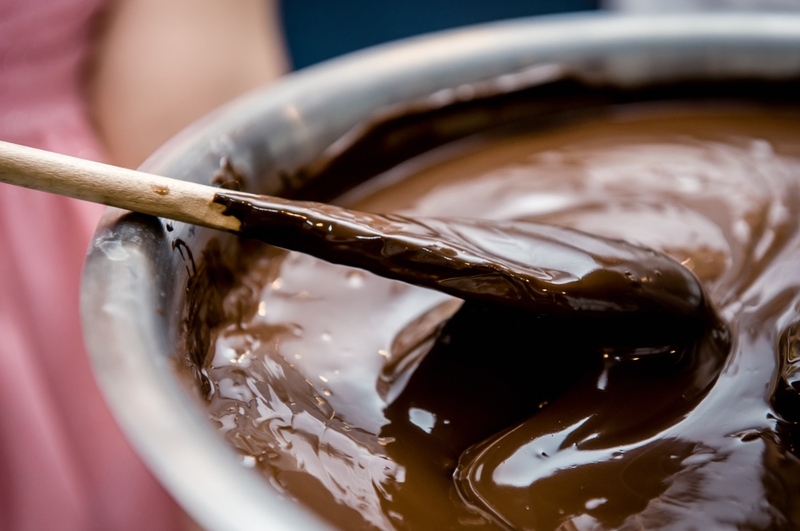 Place on low heat on the stove and melt the chocolate until smooth. 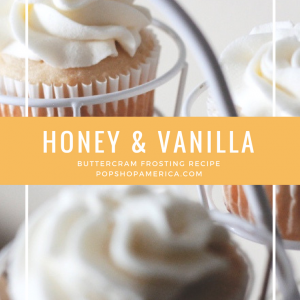 Add the cream and vanilla bean paste until smooth and consistent. Remove from stove and add your cinnamon, ginger, cardamom, clove, and black pepper. Stir until evenly blended. Cool in the refrigerator for two hours. 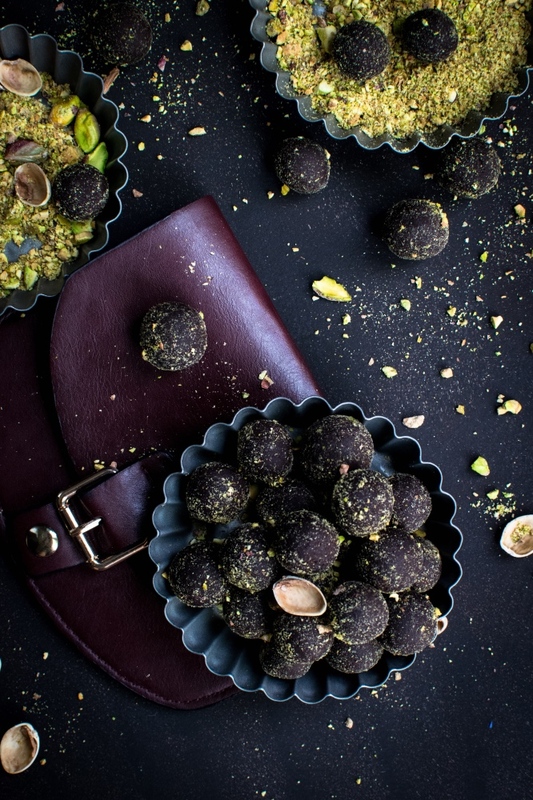 Roll into 1 inch balls and roll in fresh crushed pistachios. Cover in candy wrappers and store in the refrigerator for up to one week. To serve, allow truffle to warm to room temperature, or near room temperature.